Late September brings cooler weather in Rocky Mountain National Park. This means the aspen leaves will be changing from green to gold. 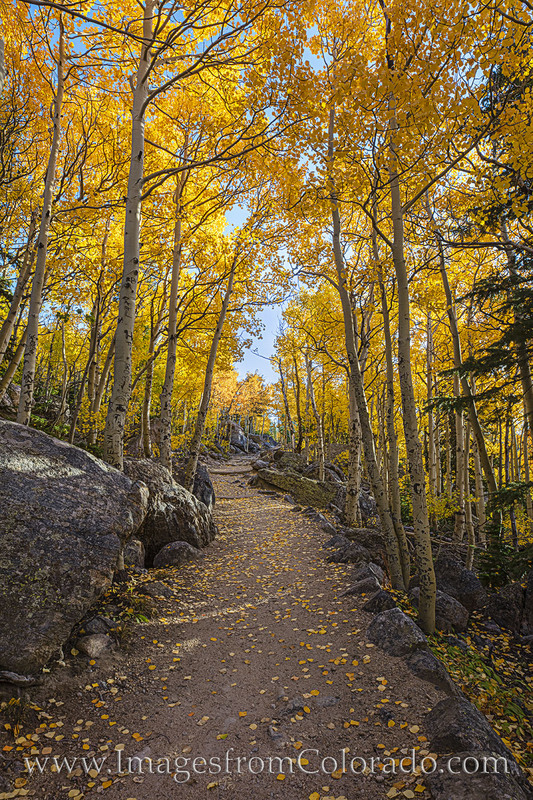 Here, a path near Bear Lake is shimmering in golden light - reflections of a crisp autumn day. Photo © copyright by Rob Greebon.